Bio: Susanne Lakin has penned thirteen novels and contracted nine to publishers in the last three years. Her relational drama Someone to Blame won the 2009 Zondervan First Novel Contest at Mount Hermon Writers’ Conference and was given 4 stars by Romantic Times and a “highly recommended” by Christian Retailing. She currently has a seven-book fantasy series for adults with AMG/Living Ink Publishers, with the first five installments already in print. The Wolf of Tebron (book one) was a finalist in the prestigious ACFW Carol Awards 2011. 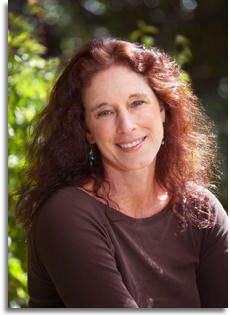 She works professionally as a copyeditor and writing coach, and is a member of numerous editing and writing groups. She also guest blogs on the top writing blogs, such as Writers’ Digest and Grammerly, and teaches workshops around the country. Her blog Live Write Thrive won the top ten blogs for writers in 2012 by Write to Done and provides year-long instruction for novelists with exciting, fresh courses in weekly posts. She has also compiled her first two courses into nonfiction books (soon to be in print and eBook): Writing the Heart of Your Story and Shoot Your Novel: Cinematic Secrets to Supercharge Your Story. Topic: Sizzling Scenes: Creating Unforgettable Scenes the Really Cook: This lighthearted workshop fills a need for writers of all levels to explore the various ways scenes can be constructed and the elements needed to make a scene sizzle. Good writers are like good cooks—using a variety of ingredients and spices, simmering until boiling, and leaving a surprise twist or lingering aftertaste to keep the reader wanting to come back to the table for seconds. We will look at the three major components of a scene—the beginning, middle, and end, and judge at random excerpts from best-selling novels to evaluate what works and doesn’t work in their scene construction. Bon Appetite!